BRFC STARTS THE SEASON OFF STRONG. 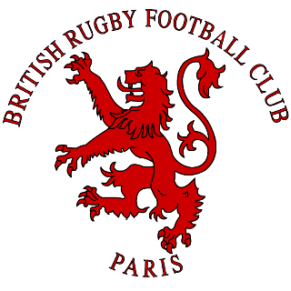 The British Rugby Football Club of Paris started their new campaign emphatically with a 36-24 victory over RCAP in a tightly contested affair at our new Porte de Pantin home. With one of the toughest and most successful pre-seasons in the club’s history, the British had the platform to start strongly and put last seasons struggles permanently behind them. With only 2 wins on the board the year before and surviving by the skin of their teeth, the emphasis this time around was to start strong and build from there. A perfect stage therefore for the team to achieve their goal! With coaches Brendan McCann and Mariano Podgaetzky away, Luke Curtis stepped in to manage the side which also welcomed back long standing members Alexander “Barks” Barker and James ‘the menace’ Grieves. Despite the enthusiasm, the match started badly for the British, with a box kick leading to an early try for RCAP. A penalty response by Nick Sanders brought the deficit to only two points before another RCAP try put the visitors 10-3 ahead. That was the catalyst for the British to finally get going and apply the pressure. With our back line of Dave Snodin and Constantin Langautier -also resuming his role as captain- smashing the French back, the referee time and time again gave penalties to the British who were being kept out valiantly by the defence. One foul too many however saw an RCAP player head to the bin and an eventual breakthrough with Brian Dodson crossing over the line. 10-10. A try which gave a much needed boost in confidence and resilience. Shortly afterwards, folowing a slick move off a scrum Sanders was able to cross over the line and give BRFC the lead for the first time in the match. RCAP rallied before the break and pounded the line right until the stroke of half time with valiant work from the forwards to keep them out, doing so despite a yellow card to the now Doctor Alessandro Donada. After the break the British carried on from where they left off, scoring an early try to make it 24-10. At the restart however, poor rucking, gave RCAP a penalty, scrum and try. 24-17. Shoulders didn’t drop and heads remained high. This is when the Brian Dodson show started, another try giving him a hat trick and giving the British a seemingly unassailable lead with time running out. Final score BRFC 36-24 RCAP. A brilliant way to start the season with the club setting it’s sights on a first playoff appearance in the top division. The BRFC would also like to thank Manuel Lisetto for his time with the club as he is forced back to his native Italy; a terrific contribution on and off the pitch. Next up for your favourite expats is a trip to play XV DU Palais in Vincennes on October 13th.